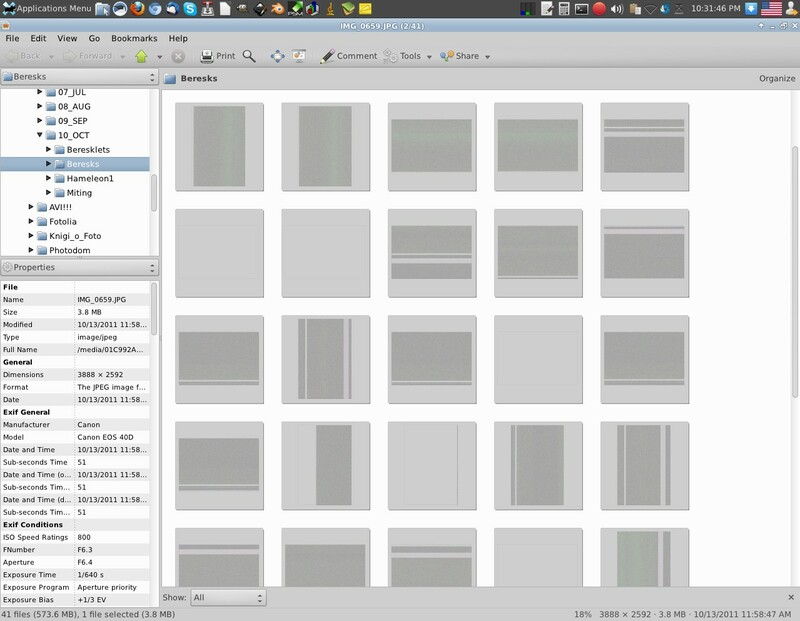 Opening a folder with *.cr2 files results in generation of corrupted (almost blank) thumbnails. 3) Gthumb is expected to generate thumbnails for raw (cr2) files. Moreover, thunar used the thumbnails generated by gthumb. 4) However, gthumb generate corrupted (absolutely useless, see attachment) thumbnails for my canon 40D raw files. Same thumbnails appeared if I browsed the folder with thunar. At the same time gthumb still capable to open these files. Bug still existent in Linux Mint 13 and Mint Debian,gThumb can open and display CR2 files but no thumbnails are visible (this actually applies not only to CR2 Canon raw image files but to also to other (possibly all ?) comparable image formats from other camera makers.